Until 50 years ago, traveling by <a href="https://inhabitat.com/tag/train/">train</a> was the definitive way to travel - in their heyday, <a href="https://inhabitat.com/tag/railway/">railways</a> represented the freedom and glamour of what is now fondly remembered as the Golden Age. That era has now sadly passed, and though <a href="https://inhabitat.com/tag/train-station/">train travel</a> is enjoying a renaissance, many train stations have fallen into disrepair. But where some people see ruin, others see opportunity. And the romance of the railway is far from forgotten. Around the world, arches, tunnels and waiting rooms have struck a chord with creatives who see these urban spaces as perfect spots for upcycling and <a href="https://inhabitat.com/tag/adaptive-reuse/">adaptive reuse</a>. We’ve combed the globe for some of the best examples of renovated train stations - read on for our favorites! <h3><big><a href="http://en.wikipedia.org/wiki/Gare_d'Orsay ">1. 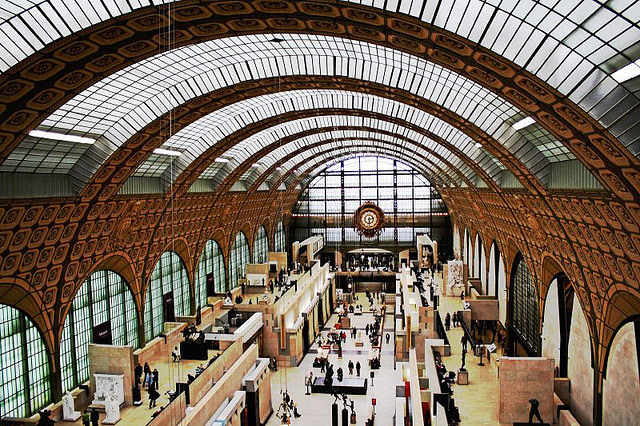 Museum – Gare d’Orsay, Paris</a></big></h3> The <a href="http://en.wikipedia.org/wiki/Gare_d'Orsay ">Gare d’Orsay</a> in Paris was the first electrified urban rail terminal, opening to great acclaim at the turn of the 20th century. It shuttled scores of people between Paris and Orleans, right until 1939, when it became unsuitable for modern trains. The wrecking ball loomed until the late Seventies, when the French government had the building listed and converted. Now it is better known as the <a href="http://www.musee-orsay.fr/en/collections/works-in-focus/photography/commentaire_id/accident-at-the-gare-de-louest-10773.html?tx_commentaire_pi1%5BpidLi%5D=847&tx_commentaire_pi1%5Bfrom%5D=844&cHash=e7a3cd5e1d">Museum d’Orsay</a> and it houses an impressive collection that includes the likes of Van Gogh Monet, Matisse and Renoir gracing the former railway arches. <h3><big><a href="http://www.thedeptfordproject.com/">2. Café – The Deptford Project, London</a></big></h3> Built in 1836, <a href="http://en.wikipedia.org/wiki/Deptford_railway_station">Deptford</a> was London’s first suburban railway station. It closed in 1915 and lay abandoned for many years before it was eventually demolished. In 2008, work was undertaken to restore what remained of the original railway yard, transforming the listed Victorian carriage ramp. 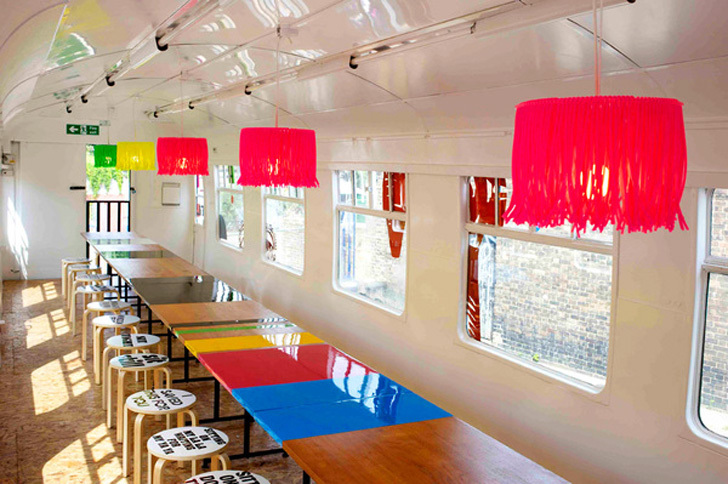 Now it’s home to a <a href="http://www.dezeen.com/2008/08/14/deptford-project-cafe-by-morag-myerscough/">retrofitted train carriage café</a>, complete with a toilet that pays homage to Elvis. Deptford’s regeneration continued with an all-new station building opening in April 2012, and plans for markets, shops, and galleries. <h3><big><a href="http://www.shoppingestacao.com.br/">3. 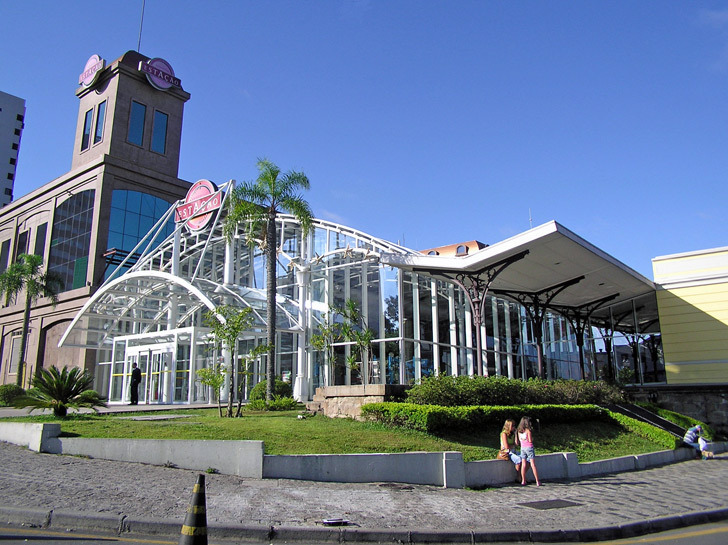 Shopping mall – Curitiba, Brazil</a></big></h3> <a href="http://www.shoppingestacao.com.br/">Estação</a> in <a href="http://gobrazil.about.com/od/braziliancities/tp/Top-10-Curitiba-Attractions.htm ">Curitiba</a>, Brazil has been transformed into a sprawling mall which, beyond the requisite retail outlets (numbering 180! ), is also home to ten cinemas, two theaters and several dozen eateries. If that wasn’t enough, there are 4 museums - including one that charts the restoration of the railway station to its current state. Inaugurated in 1883, the original line linked Curitiba with Paranaguá, until highways offered a faster transfer time leading to its eventual closure. A steam locomotive remains permanently stationed in the mall, offering a glimpse of the past. <h3><big><a href="https://inhabitat.com/old-train-warehouse-turned-into-organic-fair-trade-people%E2%80%99s-market-in-buenos-aires/">4. Market - El Galpón, Buenos Aires</a></big></h3> This organic food market in an old train warehouse in Chacarita is proof that with a little bit of imagination, the unlikeliest of places can be turned into a hub for sustainable business. 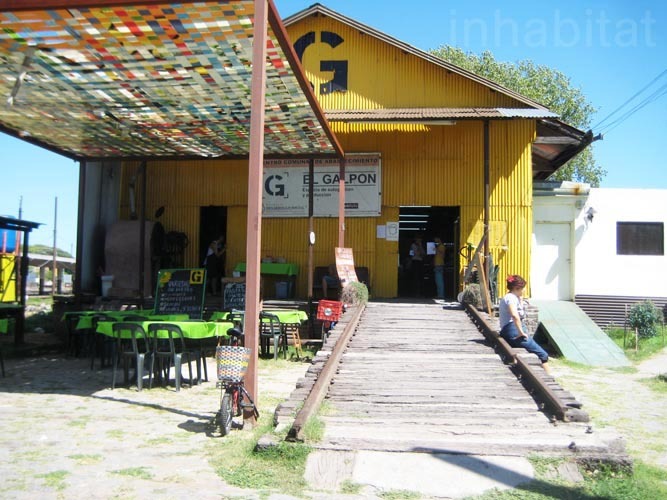 The <a href="https://inhabitat.com/old-train-warehouse-turned-into-organic-fair-trade-people%E2%80%99s-market-in-buenos-aires/">El Galpón cooperative market</a> is hidden behind an unassuming yellow tin façade, yet once inside you’ll find all manner of fair trade, locally-sourced, organic and recycled products for sale - including bread, natural honey and sulphite-free Malbec. If you need further proof that this isn’t your regular farmers’ market, there are yoga classes, permaculture workshops and a community radio thrown in for good measure. <h3><big><a href="http://www.flechedor.fr/">5. 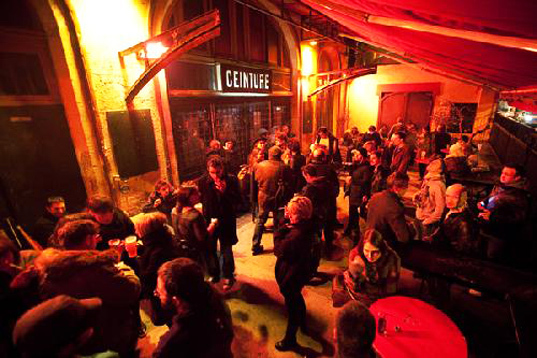 Music club - La Fleche d'Or – Charonne</a></big></h3> Paris' <a href="http://www.flechedor.fr/">La Flèche d’Or</a> concert hall has played host to no less than 3,000 new music talents since it first opened in the nineties. In its former life as Charonne-Voyageurs train station, it occupied a spot on the <a href="http://en.wikipedia.org/wiki/Chemin_de_fer_de_Petite_Ceinture">Chemin de Fer Petit Ceinture track</a>, aka the ‘Little Belt Railway’, that looped Paris until 1934. Beaux-Arts de Paris alumni first turned transformed the spot into a cafe and a concert hall, and later into a beacon of Parisian nightlife. It was closed and resurrected in 2009, this time by a pair of producers, Alias and Asterios. Once more, it became a go-to place for musical discovery, with bands old and new holding shows within its walls. The unchanged station architecture makes this venue one of a kind, while the original windows still look out on to the abandoned tracks below and remind visitors of its heritage that extends beyond the music. <h3><big>6. House – Meon Valley, Hampshire</big></h3> Suzy and Alex Smith lovingly transformed this <a href="http://www.allaboutyou.com/countryliving/reader-home-a-railway-retreat-48999?page=1">former train station in Hampshire’s Meon Valley</a>, into a unique family home. What once were railway beds became flower beds and the waiting room the family’s sitting room. 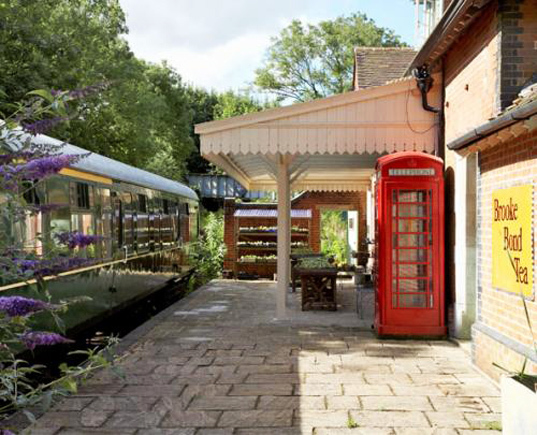 The couple even purchased an old train carriage which, parked in the platform, acts as a guest bedroom. If you fancy buying your own train station and have a few hundred thousand to spare, <a href="http://www.burscoughtrainstation.co.uk/">Burscough Bridge</a> and the <a href="http://www.findaproperty.com/for-sale/property-11476002">old railway station at Long Melford</a> in England are on the market. 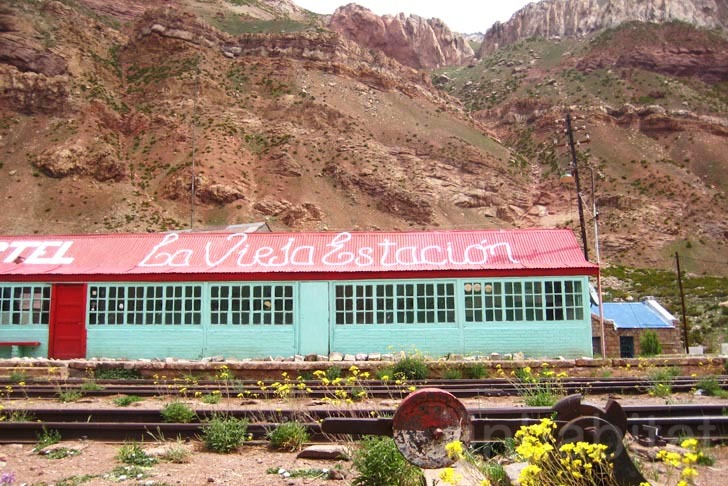 <h3><big><a href="https://inhabitat.com/photos-abandoned-rail-station-transformed-into-a-colorful-eco-hostel-in-aconcagua-argentina/ ">Hotel – La Vieja Estacion, Aconcagua, Argentina</a></big></h3> <a href="https://inhabitat.com/photos-abandoned-rail-station-transformed-into-a-colorful-eco-hostel-in-aconcagua-argentina/ ">La Vieja Estacion in Puente del Inca, Argentina</a>, is an eco-hostel on the old Transandine line that once shuttled passengers between Chile and Argentina by way of the Andes. At 2720m above sea level and only $20 per night, it’s popular with backpackers en route to the Américas' highest peaks. Until 50 years ago, traveling by train was the definitive way to travel - in their heyday, railways represented the freedom and glamour of what is now fondly remembered as the Golden Age. That era has now sadly passed, and though train travel is enjoying a renaissance, many train stations have fallen into disrepair. But where some people see ruin, others see opportunity. And the romance of the railway is far from forgotten. Around the world, arches, tunnels and waiting rooms have struck a chord with creatives who see these urban spaces as perfect spots for upcycling and adaptive reuse. 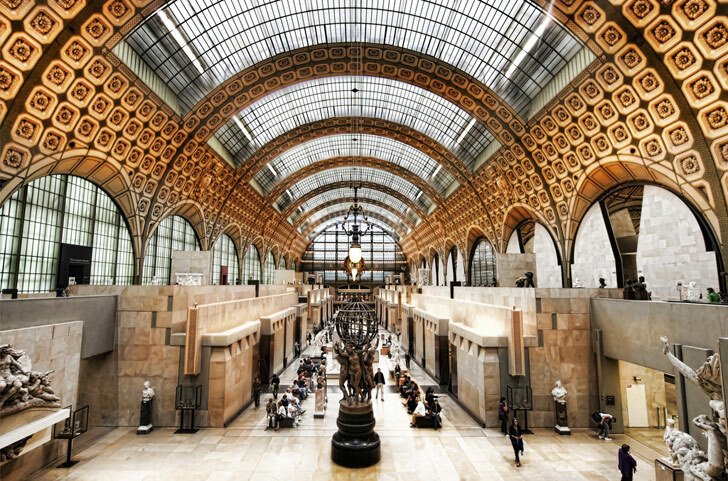 We’ve combed the globe for some of the best examples of renovated train stations - read on for our favorites!